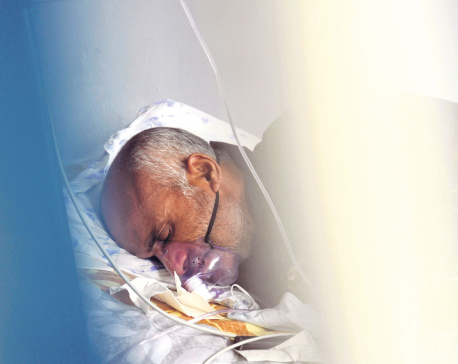 Dr KC is on the 23rd day of his 15th fast-unto-death demanding that the government withdraw the National Medical Education Bill from parliament and introduce it with the same provisions that were incorporated in the previous National Medical Education Ordinance to bring reforms in Nepal’s medical education sector. Civil society members including nurses, doctors, and medical students participated in the relay sit-in organized by Solidarity for Dr Govinda KC Alliance (SDGA) that lasted from 10 am to 5 pm. The participants sought to express their support to the cause championed by Dr KC and convey their dissatisfaction over the violent actions taken by the government against protesters since the last few days. “There was no need to use violence during last week’s Jumla incident. 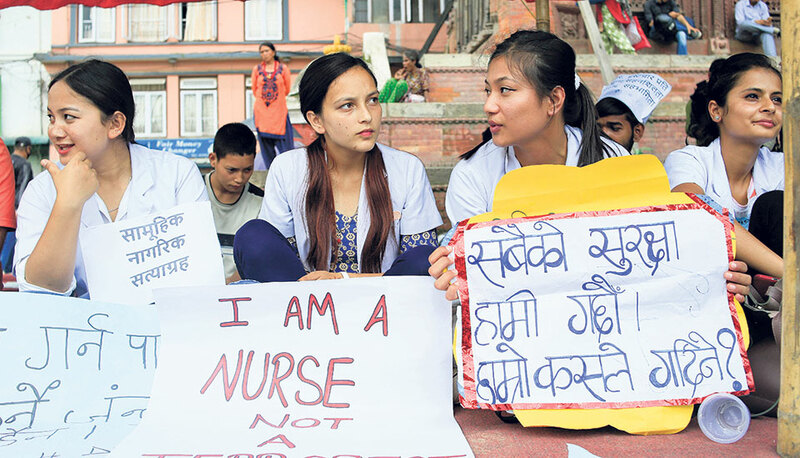 Injuries were inflicted on health workers for no reason,” Taniya Shrestha, a nursing student at Alka Hospital said, adding that a group of nurses had participated in the sit-in as representatives of all the nurses of the country. She also said that the demands of Dr KC are for the public good so they need to be addressed without any delay. 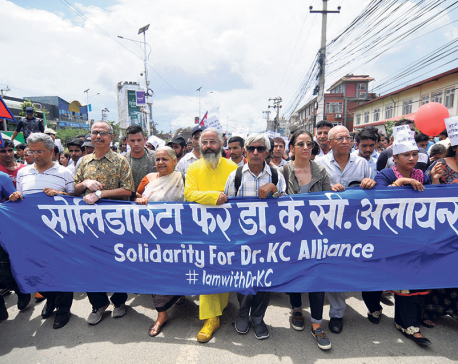 Supporting the sit-in as a civilian protest, Bibeksheel Sajha Party Coordinator Ujjwal Thapa compared the peaceful protest of Dr KC and the alliance to the Salt March in India led by Mahatma Gandhi in 1930. “This is a peaceful protest like the Salt March. I have come here as a guardian to my family. We don’t want a scenario where we have to sell land in order to acquire quality medical treatment,” he said. 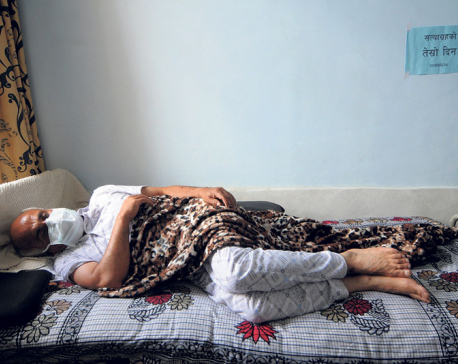 The Alliance said that the protests will continue until Dr KC’s demands are addressed. More than 110 civil society members including Bibeksheel Sajha Party leader Bijay Babu Shiwakoti participated in the sit-in Sunday, while about 300 others have registered their names to participate in the sit-in to support the cause championed by Dr KC. Earlier, the government had formed a team led by the education secretary to hold talks with Dr KC, but Dr KC refused to hold talks with the secretary-level task force demanding that a powerful minister-level taskforce be formed and the Medical Education Bill registered in parliament be withdrawn immediately.